O.k. don't judge me here but I don't get around to cleaning mine very often. Dirty I know and I'm sure if you are in the makeup business you are probably cringing reading this! They did get a bath this morning and can't wait to use them. On the other hand, how long does makeup cleaner last? I've had mine for oh, I'm going to get in trouble for this one I'm sure of it, probably 11 years! See the bottle in the above pic? This is the one that I bought at the MAC store in the Cherry Creek Mall in Denver years ago. Probably time for a new one right? 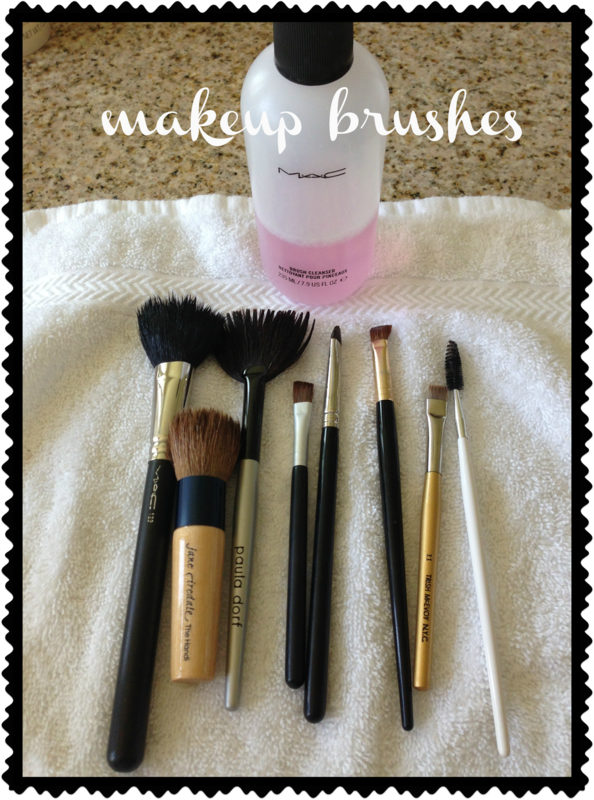 How often should I wash my brushes? What do you clean your brushes with? I'm not on a regular schedule but I'd say I do mine every 6 months or so. I'm guessing you're supposed to do them more often though! I just use face cleaner and warm water. What's your favorite brush? LC's website says once a day with a weekly deep cleanse once a week! I don't know who has time for that. I usually wash mine once a month or once every two months. 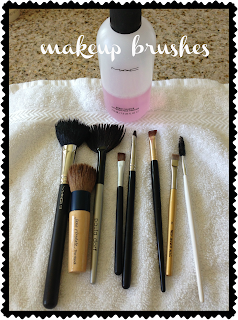 @charisa my favorite brush is my Trish McEvoy eye brush...not sure if I spelled that right! @eden I agree! There is no way I have time to wash mine erryday! BTW...who is LC? My step mom is an esthetician and I have asked her this before she says about every 2-4 weeks depends on your skin type and of course how often you wear makeup. However, I'm with you I'm more along the lines of every 6 months. GASP!!!!! I use baby shampoo to clean mine.